Talking trash in honor of Earth Day! The New England Aquarium's monthly Ocean Detectives programs involve young learners 5 to 7 years old and their parents. By studying turtles, crabs or penguins, kids develop their math, science and literacy skills. The next program on May 1 will focus on whales! Click here for more information or to sign up. A young student of the Ocean Detectives programs is doing some teaching of her own. 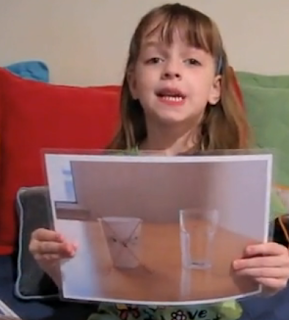 Check out Anna's terrific video about trash in honor of Earth Day on April 22! Earth Day is a great time for you and your ocean detectives to reevaluate your impacts on our Earth and oceans. Anna definitely has some great tips! Visit the Live Blue Initiative to learn more ways you can live lightly on the blue planet. Take a moment to claim your own plot of ocean and even make a pledge to live blue, too! Come April 22, celebrate Earth Day with the Aquarium and The River during a free concert by They Might Be Giants on the Rose Kennedy Greenway. Then on Sunday, April 25, bring the family to the Aquarium for free activities in honor of Earth Day. Look for your artwork at the Earth Day Art Show, and take advantage of other hands-on activities throughout the Aquarium campus. There's still time to submit your family's artwork! Learn more about Blue Discoveries Family Day and get an application to submit artwork.